Stock up your freezer and save! 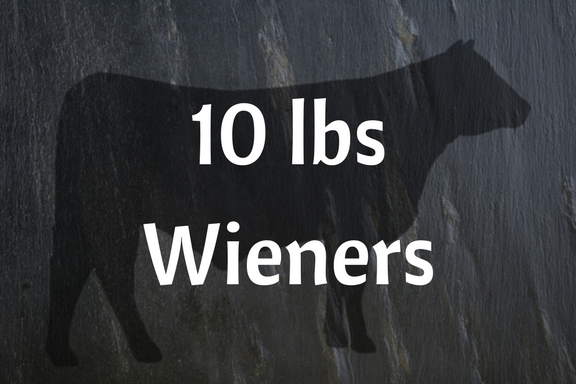 Wieners are packaged into 1.25-1.5 lb packages, each with 8 wieners. Averages to about 7 packages of wieners per order.